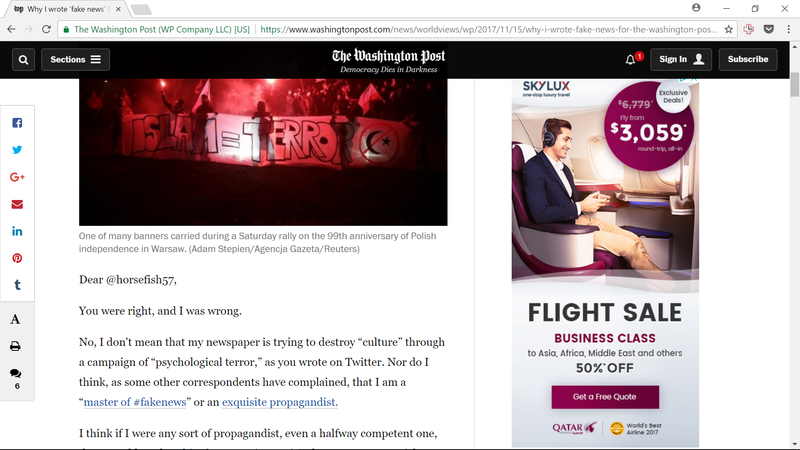 CNN, on its part, did place a “correction note” in the article: “A similar banner was hung in another Polish city in 2015, according to local reports, but not at Saturday’s march [a large march on 11/11/2017 in Warshaw]”. Unnecessary to say, most people who had read the article did not see this correction note. Also, CNN acknowledged it had gotten the main factual allegation of the article wrong, but the conclusions remained the same. Facts be damned! George Soros has Moved $18 Billion into his Open Society Foundations “charity.” If any smart lawyers are reading this – get together and sue them for all the harm they have inflicted on this country! This is a rare opportunity to make big money for doing a good deed. Contact me if you don’t know the cause(s) of action. r/Holocaust is a Holocaust denial sub of Reddit. Antifa is a reincarnation of the Ku Klux Klan – bunches of hoodlums covering their faces and attacking enemies of the Democratic Party in states and municipalities controlled by the Democratic Party. hey Genius, Antifa is fighting Nazis like the whole world did in WWII. No, “antifa” is not fighting nazis. “Antifa” intimidates and attacks Trump supporters and patriots.